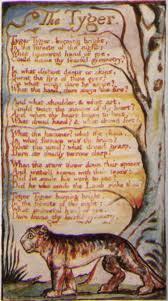 In my first blog post on Blake’s poem sequence, The Songs of Innocence and The Songs of Experience, I discussed the structure of the work that Blake had in mind. Each half of the poem sequence presents two contrary states of humanity – that of innocence associated with childhood and of adulthood’s corruption. So each poem has a companion: for example, there are two “The Chimney Sweep” poems, two “Holy Thursday” poems. As Robert F. Gleckner points out in the excerpt from his article assigned for this unit: “For the serious reader of Blake’s songs…a constant awareness of the context or state in which a poem appears is indispensable” (1230). In other words, Blake’s poems must be read with the overall structure of Songs in mind to fully grasp what Blake is trying to communicate. By reading each poem by itself we may not understand the poem’s meaning. For each state, Blake, as the poet, takes on two different voices, one of comfort and joy (that of the Piper) and one of foreboding (that of the Bard). As I pointed out, Blake depicts this change in voice even in the very diction, or word choice, that he uses. For this blog post, I want to turn to one of the most well-known companion poems from Songs, “The Lamb” and “The Tyger.” Here Blake not only continues developing the themes of childhood and nature vs. industry, but explores the very essence of the Creator. It is probably helpful to think of “The Lamb” as a Sunday school lesson. As with other poems in Songs of Innocence, the voice of the poem is that child speaking about very profound theological issues. 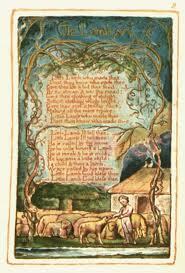 Here the poem begins with the child asking the lamb “who made thee.” For the first half of the poem, the child expands this initial question, seeing God as a caring, benevolent figure who clothed the lamb in “softest clothing woolly bright” and led it to feed “by the stream and o’er the mead”(Lines 4 through 6). 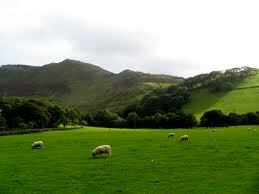 Like the natural world of the Piper, the poem depicts the pastoral scene that the lamb inhabits. Blake reinforces here the association between innocence of childhood and the purity of the natural world. I have always found Blake in this poem to capture so well the voice of a child. If you have ever heard a child talk to an animal at zoo or farm, you’ll notice that they speak to the animals as if they were being understood. Even in lines 11 and 12, we can almost hear the uncontainable excitement in the child’s voice as he is about to reveal the answer. Moreover, Blake gives the reader a child’s perception of God, whom the speaker comprehends as both a child and a lamb. “The Tyger” maps onto “The Lamb” in that both poems begin with the question of who created each. Yet unlike “The Lamb,” the answer is withheld from us in “The Tyger” for reasons that will become clear towards the end of the post. In this poem, Blake presents the darker side of creation – while the lamb lives in the valley feeding by streams and brooks, the tyger roams the forest at night. Where we read of the lamb’s soft wool and tender voice, we now encounter the tyger’s “fearful symmetry”, “the fire of thy eye,” and the twisted “sinews of of thy heart.” While the child’s voice in “The Lamb” finds nature to be only gentle and loving, the voice of experience discovers terror and death. Now there’s an alternative way of reading the nature of the tyger. 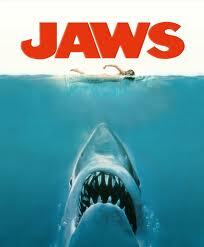 This may seem a bit out of left field, but think about the shark in Jaws. Here’s what the prop shark looked like underwater. Interesting it kept malfunctioning for most of production, hence why we don’t see the shark until half way through the film. So it would be inappropriate to understand the shark as sinister, suggesting intent. 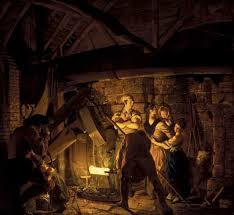 The tyger becomes less associated with the natural world and more with the industrial world. (Look at the illustration for this poem. The tyger’s eye appears almost machine-like.) Blake offers then a more disturbing implication of the tyger: if the tyger, and by extension creation, is a machine, then are the terms evil and innocence simply projected on to it by humanity? Does humanity exist in a universe indifferent and amoral? Is God beyond our labels of evil and innocent? This entry was posted in Uncategorized and tagged childhood, God, Industrial Age, London, Songs of Innocence and Songs of Experience, The Lamb, The Tyger, William Blake. Bookmark the permalink.